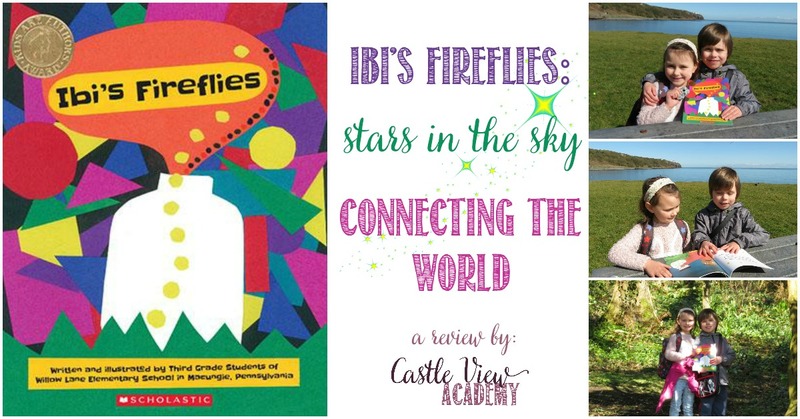 Today I’d like to introduce you to a very special book called Ibi’s Fireflies, which was written and illustrated by the Third Grade Students of Willow Lane Elementary School in Macungie, Pennsylvania. 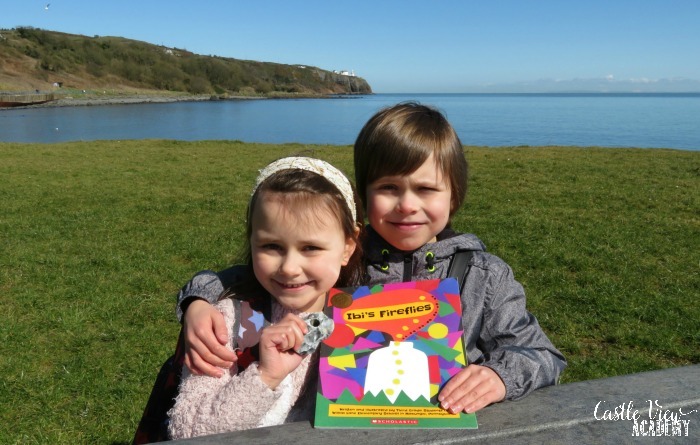 Yes, you read that correctly – it was both written and illustrated by children aged about 1o! 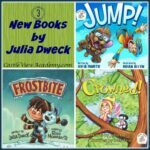 Julia Dweck has been writing children’s books for a few years, and we’ve reviewed them all (you can find more about those here), but this time she took up a bigger challenge: to have her third-grade students create and publish a book! Mr. Ibiyinka Alao, “Ibi” a United Nations Arts Ambassador visited the students of Willow Lane and told them a story about his childhood in Nigeria and an experience he had with fireflies. 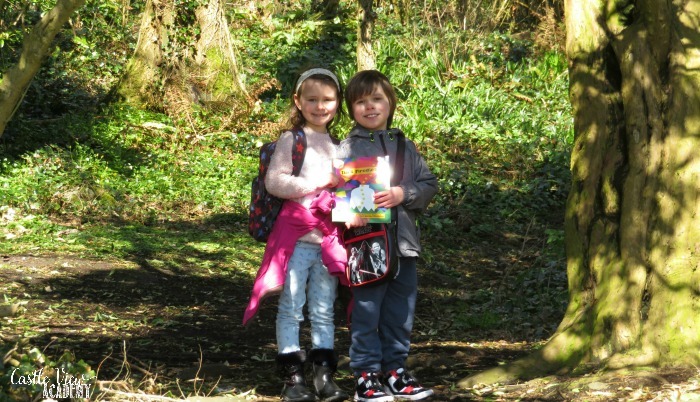 This story had not yet been published, so the children put it into a format fit for a book. Then Ibi taught the children how to paint in the traditional Nigerian style and the children created a picture for each page of the story. The pictures are done in a distinctive multi-media style with bright and bold colours. Ibi was in a car with his dad and they saw some fireflies. Ibi’s dad stopped the car and found a jar in the trunk so Ibi could catch some and have a closer look at them. Ibi felt heartbroken when his father said that Ibi must release them back into the night or they would die. Although Ibi understood this, it still made him sad. To help Ibi feel better, his father told him that in the night the fireflies turned into stars. Ibi compared the two and they twinkled similarly so he believed his father and released the fireflies into the night. After that, when Ibi saw fireflies he would gently push them up into the sky to twinkle. Ibi says, “When you love something as much as I loved those fireflies, the best thing is to let it go free. It will then become a giant star that will shine down on you forever. 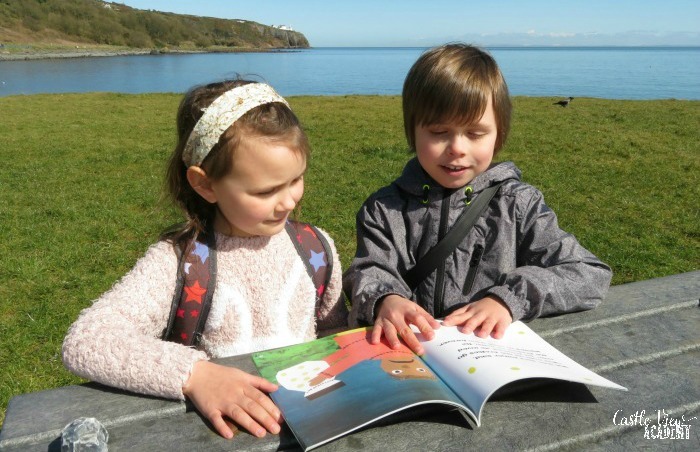 Julia has been collecting pictures of students around the world reading Ibi’s Fireflies and she kindly sent us a copy that we took along with us the first time the children read it. 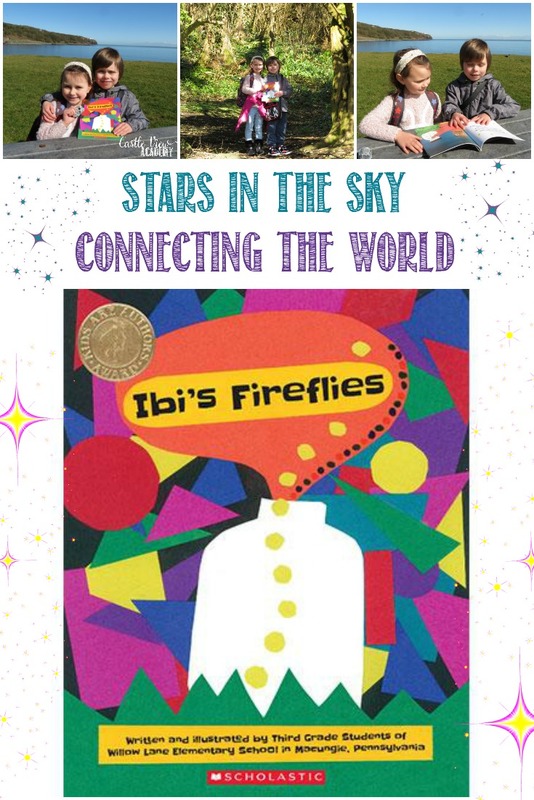 The Ink-Readable Club that wrote Ibi’s Fireflies were honoured at a literacy dinner from CARE and Julia is also trying to impress upon her students how stories connect us all. 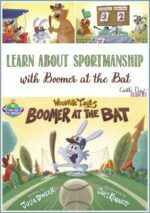 What a fun way to do it! Ibi’s Fireflies is also in the process of being adapted into an animated film featuring original paintings and music with the help from director/producer Tim Burton and cinematographer Derek Frey. How exciting!! What is your firefly moment? A firefly moment is one small life -moment, a memory, that each of them recall very clearly and can tell in a very animated and vivid way. Julia Dweck is on Twitter, Facebook, and Amazon. Ibiyinka Alao (Ibi) can be found on Facebook, and his website.